LFM - Hit Music & Dance!” plays Top 40 / Hit Music with a lead towards Dance. 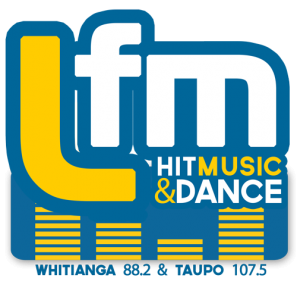 LFM broadcasts in the popular summer hotspot Whitianga on 88.2, Hahei, Hot Water Beach & Cooks Beach on 107.4FM. Also Taupo to Turangi wide on 107.5. Broadcasting since 2004, LFM is the only radio station in the Whitianga area catering for such audience, LFM is the wise choice for your radio advertising. Targeting ages 10 - 39, equal Male and Female. LFM Listeners have n average disposable income of $40K per year.